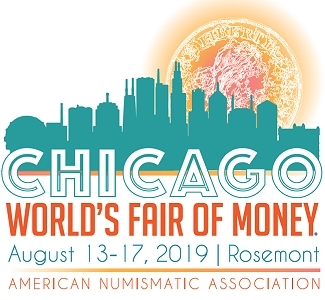 Once again, it is my pleasure to welcome Kagin’s Auctions as the official auctioneer of the 2019 ANA National Money Show in Pittsburgh, Pennsylvania, March 28-30, 2019. 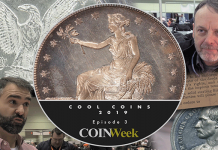 Since 1940, Kagin’s has conducted over 330 numismatic auctions with their hallmark being numismatic education and innovation. 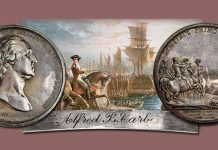 At our March 2018 National Money Show, Kagin’s reentered the auction market with a bang introducing several innovations including their sensational “Liberty Alive” cover, which was the result of the first-ever ANA cover design contest. 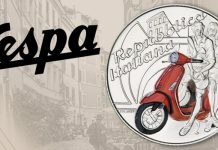 They also implemented the Kagin Loyalty Program – the first loyalty program in numismatic auctions. Successful buyers receive 1% back in credit toward the next two Kagin auctions, which so far has resulted in over $10,000 being credited to buyers. 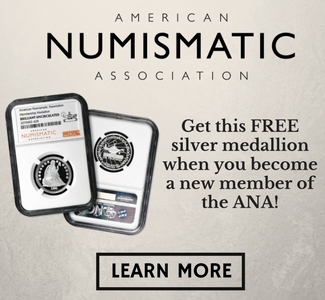 This time, Kagin’s Auctions will continue to drive the ANA’s mission of numismatic education by offering a one-year virtual ANA membership for all consignors and bidders–successful or not–and a virtual Lifetime Membership for any $100,000 consignor or purchaser. 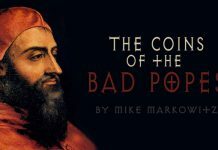 Consignors will pay NO seller’s fee! 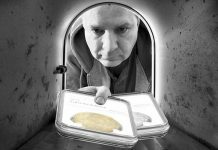 All revenue for the Kagin’s Auctions will be paid by the 20% buyers’ fee. 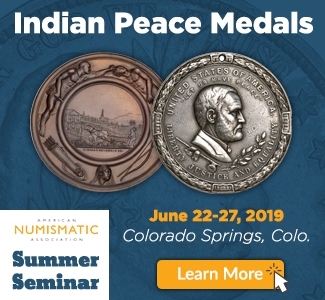 As in the past, Kagin’s will be employing some of the finest, most scholarly numismatic cataloguers, designers, photographers, and writers not just to describe your special collection but to tell its story. The aim will be to create a timeless legacy of your challenging accomplishment and, if appropriate, what it meant to you. 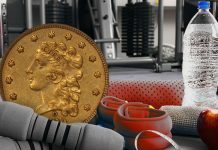 By offering no-reserve auctions Kagin’s has garnered excellent participation from dealers and collectors alike resulting in 99% and 100% sale through rates and record prices. 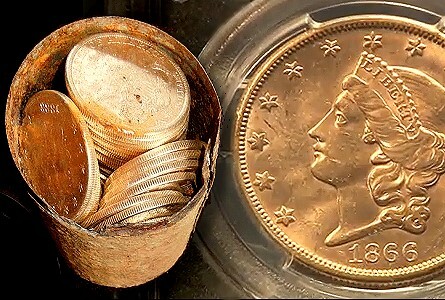 Other innovations abound including establishing relationships with other major numismatic organizations, companies and affiliates to expose these new educational features, and boost participation even beyond the numismatic world much as Kagin’s did with the Saddle Ridge Treasure Hoard–the largest buried treasure find in North America–which was featured on over 1.65 million websites worldwide. 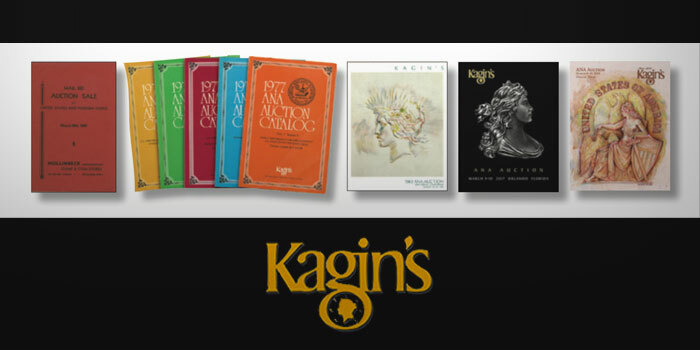 Kagin’s is also known for its relatively small boutique action formats of just 500 lots per session in order to highlight collections so space will be limited. 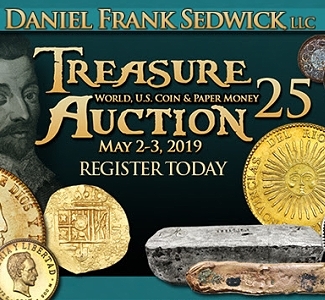 This auction already features the Michigan Collection of the finest and most complete collection of Encased Postage Stamps, the largest offering of Federal Reserve and Federal Reserve Bank Notes in over a decade, and U.S. Colonial, Federal and Pioneer Coins and Currency. 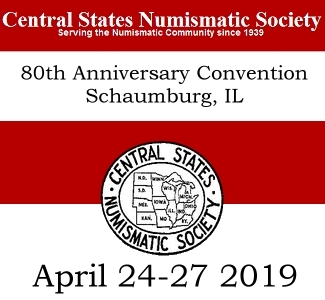 I encourage you to contact Kagin’s to discuss these new, exciting features and how you can be part of this adventure by including your collection of rare coins and currency in this exciting event.